On East Street. Sold fresh, fried and frozen fish. 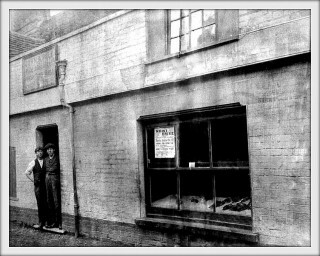 John Fale's fish shop in East Street. 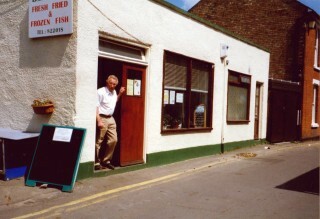 The fish shop was once part of five old cottages that were owned by Kezia Hines. These were demolished in the 1930’s and one plot was purchased by John Fale as a wet fish shop. This was later sold it to Edwin Green who used it as a fish and chip shop. Some time later it was sold to Brian Green who was the son of Sid Green, another member of the Green family.